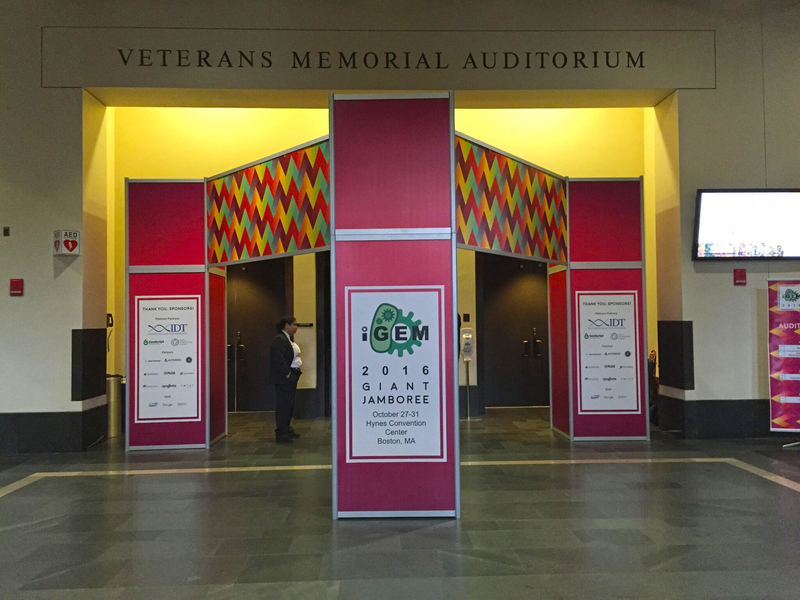 This year CorpEvents New England had the opportunity to partner up with MIT for the annual iGEM Giant Jamboree at the Hynes Convention Center in Boston, MA. CorpEvents N.E. 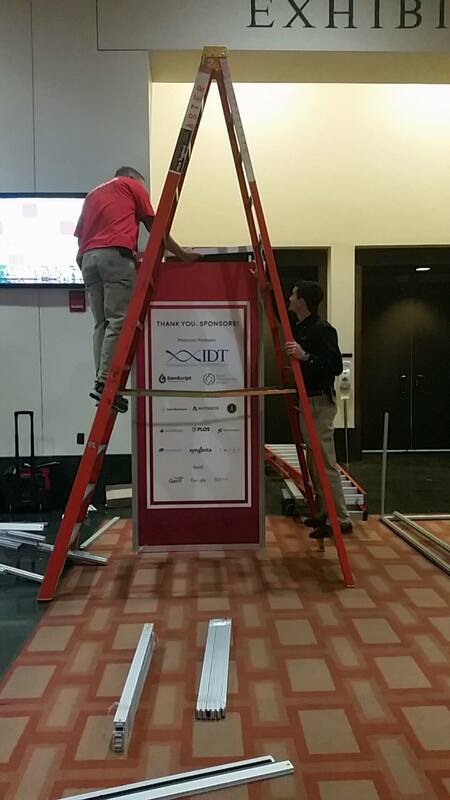 was responsible for both the installation and dismantle, as well as the majority of graphic services for the event. Given the branding standards provided by iGEM, all signage was created consistently across the whole event. 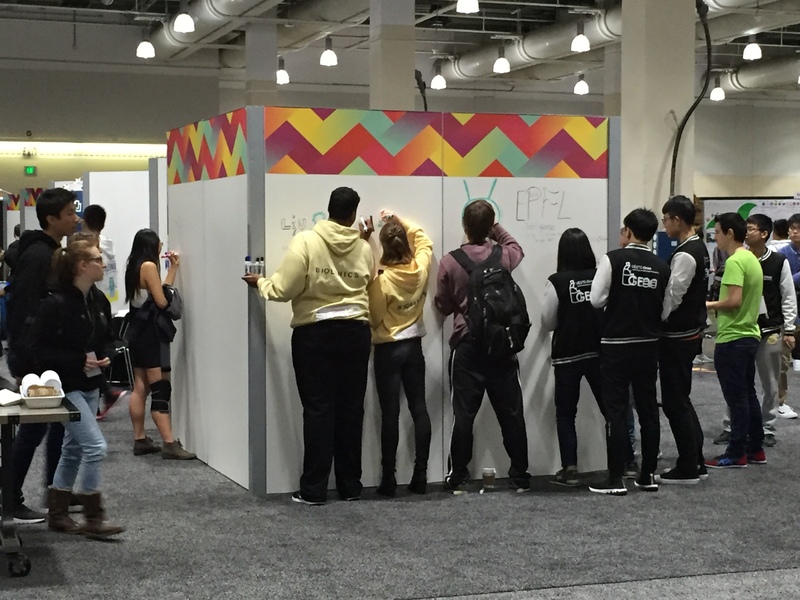 iGEM (International Genetically Engineered Machine) is an independent non-profit program and competition that encourages students from all around the world to participate in teams to solve real-world problems in Synthetic Biology. This competition hosts more than 300 international teams that consist of undergrad students, entrepreneurs, high schoolers and more. Teams are responsible for collaborating, researching, and testing biological systems in living cells which are given to each team in a kit. This competition is a great opportunity for students to come together, share their knowledge, and develop new skills along the way. 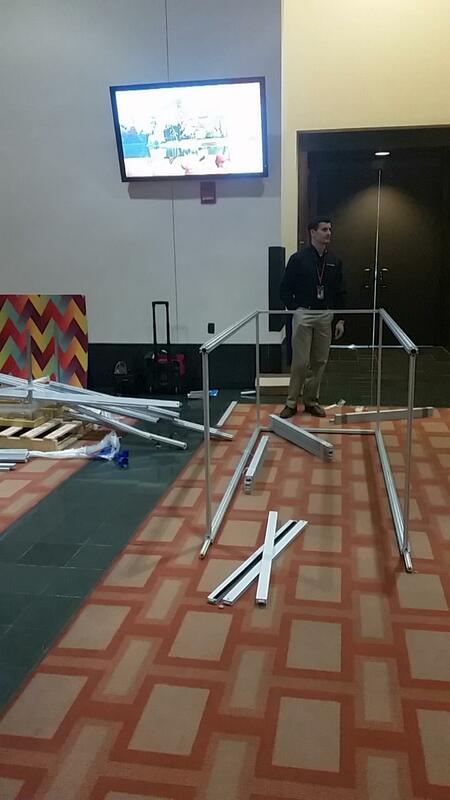 To ensure a successful show set up, our team remained on site throughout the entire process, providing professional setup and dismantle labor and show management support. 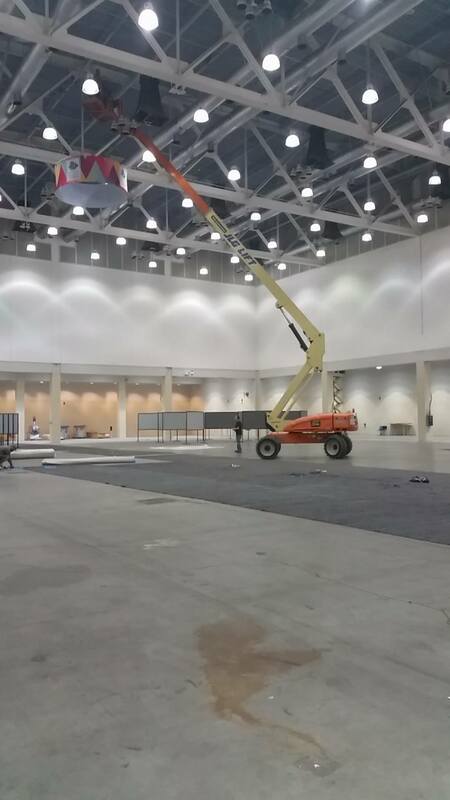 Some of the items CorpEvents N. E. constructed were 18, 8’ x 8’ high aluminum back wall frame displays with 6’ draped tables for all of the sponsors, header signs, and miscellaneous accessories. Various sponsors were also displayed on the large, eye-catching entrance unit consisting of 3 constructed towers connected with 2 large headers that were 114.5” wide. The structure made for a great photo-op used by many students. Additionally, 1800 linear feet of carpet was laid out and set for several breakout and private rooms. CorpEvents N.E. designed graphics for a total of 12 registration counters complete with headers and kick plates. 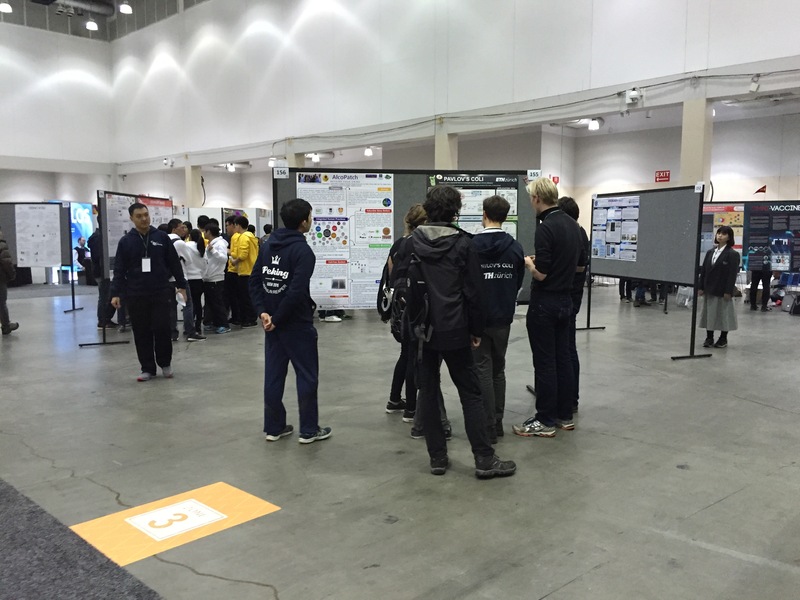 Because of this event’s large attendance, there were a total of 70, 4’ x 8’ poster boards needed for teams to display their projects. 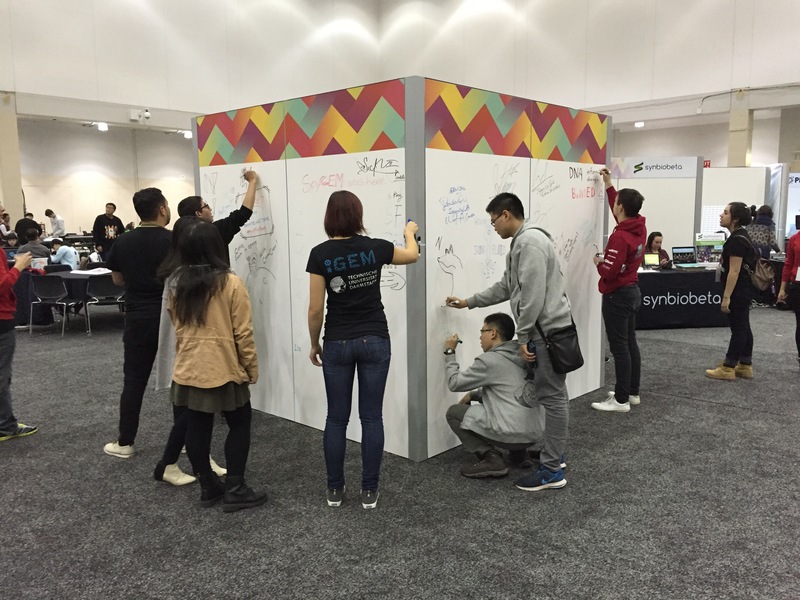 Each Lounge area had 1, 8’ x 8’ x 8’ graffiti kiosk installed and branded with graphic decals and whiteboard space for students to sign and interact with. To also add color and branding up high, signs were installed over each graffiti kiosk. In order to make it easier for contestants and judges to locate certain sections, CorpEvents N.E. designed and placed 72 individual stanchion signs, 24 floor decals and 6 column wraps, all of which were labeled accordingly. CorpEvents N.E. 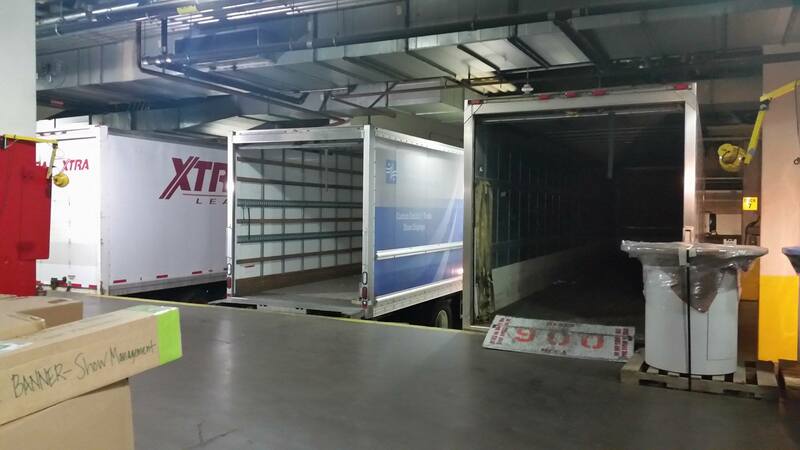 provided other materials such as electrical cords, pipe & drape, furnishing rentals and much more. 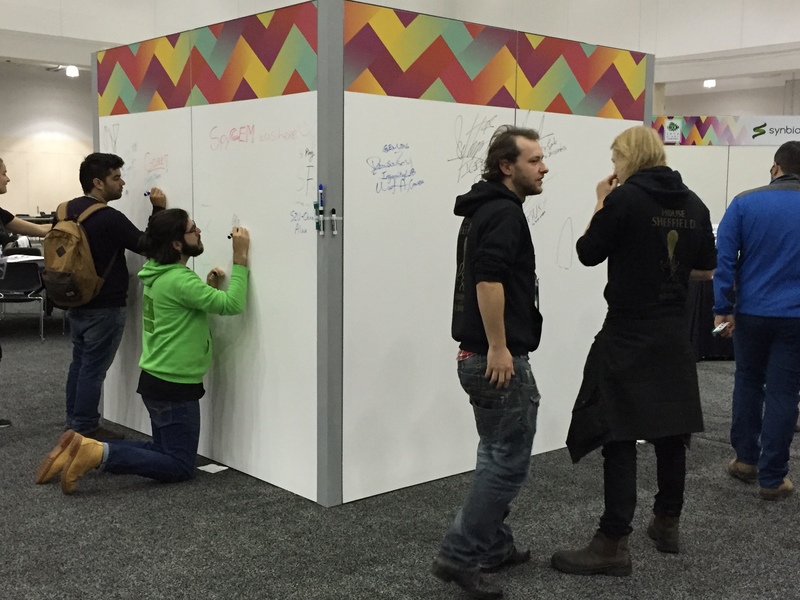 The event was a success, engaging its attendees and contestants in a fun and collaborative way.